IPL 2018 SRH vs RCB live streaming will be made available by official broadcasters on their following portals. You can watch live cricket match today online on Hotstar, Jio, Star Sports, and AirTel. Sunrisers Hyderabad vs Royal Challengers Bangalore is the 39th of 60 games for this edition of Indian Premier League. It’s the IPL season 11 this year. The annual cricket extravaganza has already completed its one and started the second decade of its run. SRH v RCB is scheduled to be played at Rajiv Gandhi International Stadium located in Hyderabad as it’s a home match to Sunrisers. It will start at 8 pm IST as per the regular timings. But, before the actual game kicks off, the toss will take place at 7:30 pm IST – about 30 minutes before the match starts. For television viewers, the channels are Star Sports 1/ HD and Star Sports Select 1 / HD. These will provide the real time updates with English commentary. If you want to receive the ball by ball updates in Hindi, then your channels are Star Sports 1 Hindi / HD. However, if you can’t go for TV option, then no need to worry, you can watch the game online via free IPL live streaming on Jio TV app, AirTel TV app, Hotstar app, and Hotstar.com too. These broadcasters have got the rights for this year. As of before today’s IPL t20 match of RCB vs SRH, Hyderbad is leading the IPL 2018 points table with 14 points in 9 games – winning seven and losing 2. While, Bangalore has slipped to 6th spot with six points in same number of matches. Royal Challengers has won three and lost six games played so far. RCB has won the toss and elected to bowl first. This leads to SRH batting first. As the tournament has progressed, we have got to see clearer which teams will get a berth in the IPL 2018 playoffs. 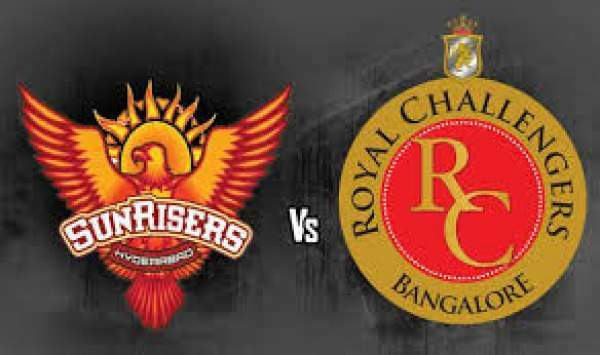 Sunrisers is a confident team on a winning streak and it looks like, this match will add more misery to Royal Challengers. Virat Kohli led RCB need to do something extraordinary to overturn the fortunes in the left over matches. Kane Williamson led SRH has been brilliant this year so far. Hyderabad defeated Delhi in its last game while Bangalore faced a defeat against Chennai Super Kings in Pune.